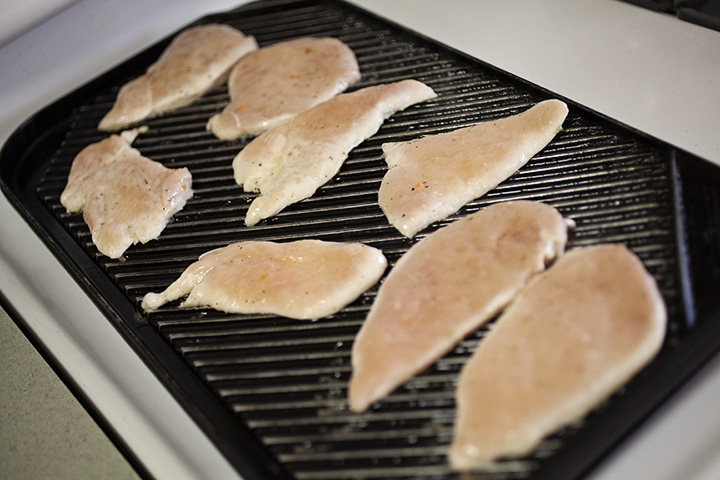 I have to admit, normally I don’t really like grilled chicken but now that it’s getting warmer I really don’t want to spend as much time in the kitchen. 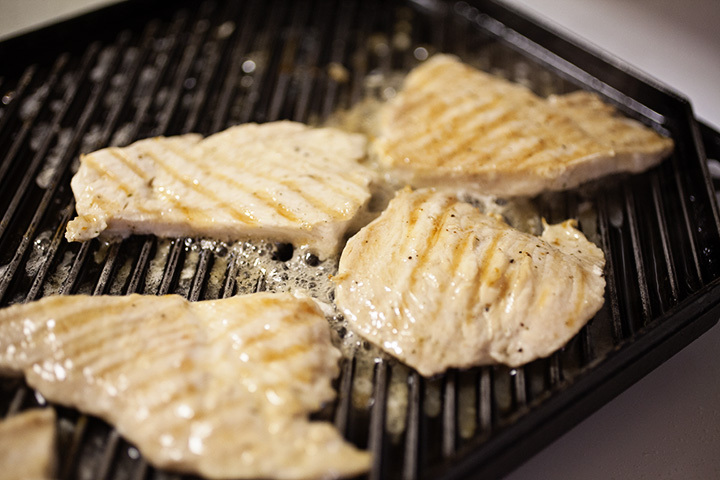 I decided to try making grilled chicken and what’s great is it’s easy to prepare, cooks quickly and my family likes it! Jackpot!!! We live in an apartment, no terrace, so I used a stove top grill pan. This would easily work on an outside grill as well. The secret ingredient? 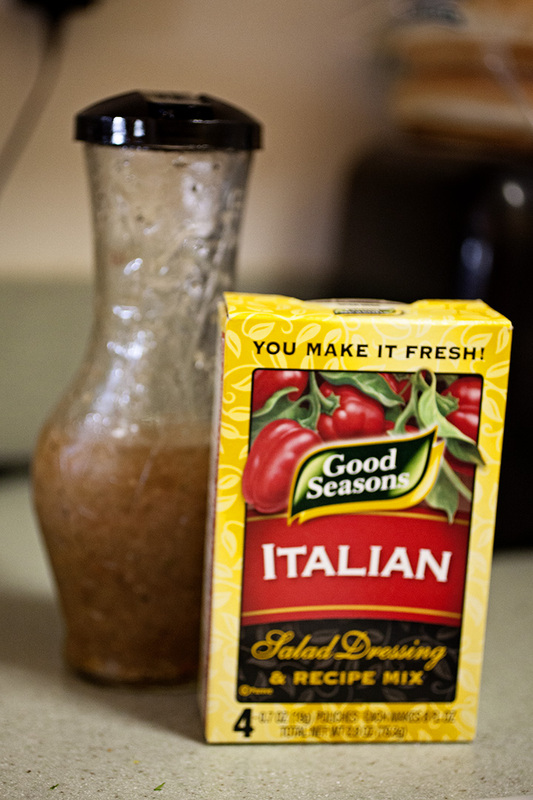 This Good Season’s Italian dressing!! We love it as a salad dressing so I thought, why not use it as a marinade. Have you ever had this? It’s really easy to make – basically oil, vinegar, water and the contents of this packet. The glass cruet is sold right next to the packets in the grocery store. As kids, this was out “fancy” dressing but in my home now, we’ve uplevelled and it’s our every day dressing! 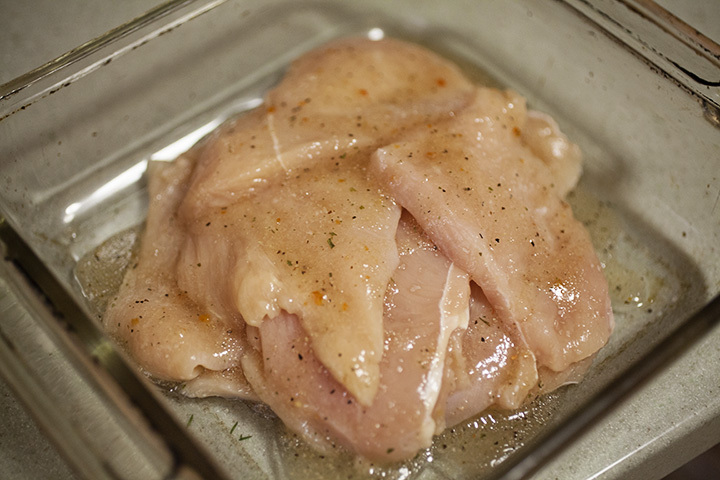 All I do is take thin cut chicken breasts, sprinkle with some kosher salt and drizzle over some of the dressing. Mix it around so it’s coated on both sides. I’m sure it would taste even better if I took the time to marinade it for a few hours but every time I’ve made it I just let it sit for a few minutes and it’s still great. I put the fire on medium high and drizzle the grill with a little bit of canola oil. It really only takes a few minutes to cook especially if it’s really thin. As the sides start to turn white like this, I would check the other side to see if it’s time to flip it over. I like getting these grill marks – make sit look fancy! I like to serve this with grilled onions. 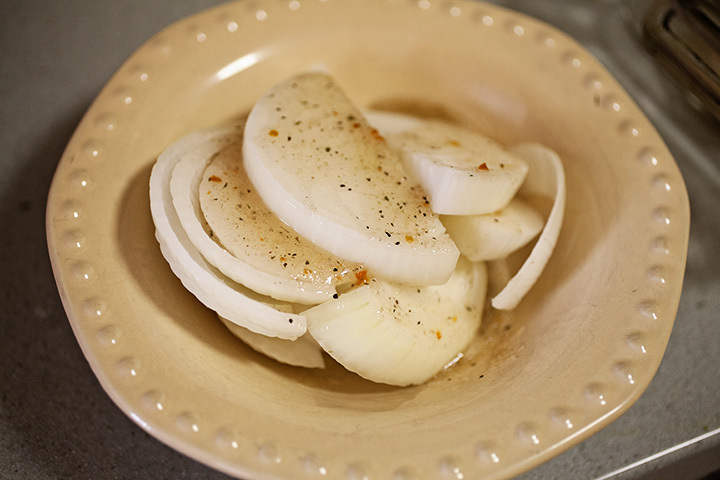 I take a sweet onion, cut it into big slices, pour some of the dressing over it and then put it on the grill. It cooks really quickly so don’t walk away and get distracted. The night I made this I also made roasted asparagus and purple potato salad – hold the mayo! 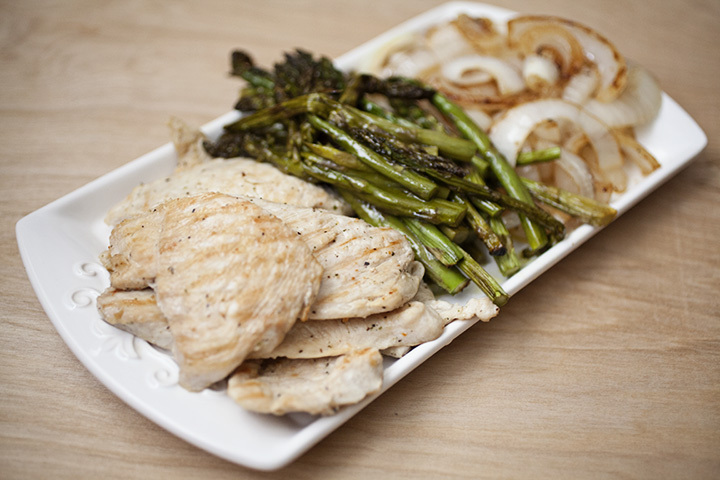 The chicken is really flavorful and juicy – yes juicy – not dry! 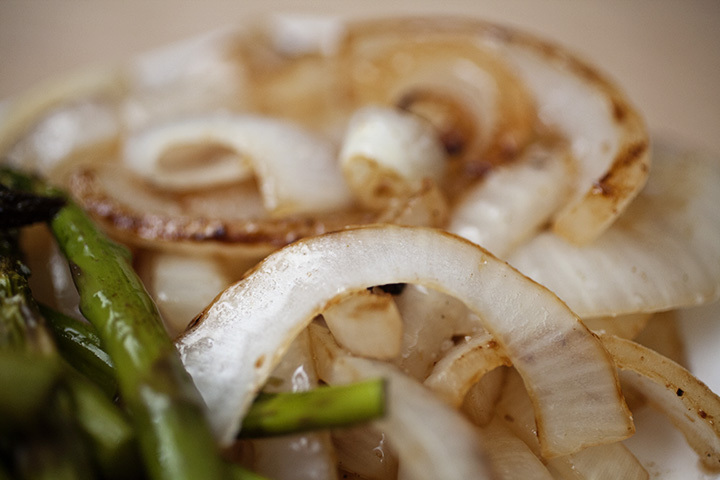 The grilled caramelized onions get really soft and sweet and add an extra layer of flavor to the chicken. Are you planning on doing a lot of grilling this Memorial Day weekend? Let me know if you end up trying this recipe. 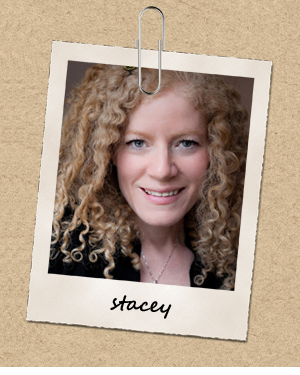 This is an oldie but goodie Stace, and can b made w/any bottled Ital. dressing (I use Wishbone). The results r excellent. Glad to hear u and the fam. enjoyed. I have also marinated them w/1/4c honey, 1/2c soy sauce, 1clove garlic, 1tsp. ginger, 1/3c oil and 2tbs. red wine vinegar. 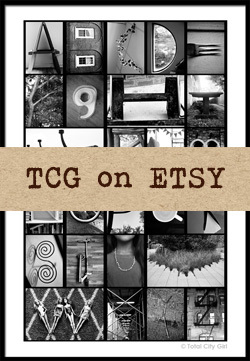 Hope u give it a try, and thanx for sharing. That sounds good Donna – I’ll have to give it a try!